The premade disk will be intuitively picked for you. 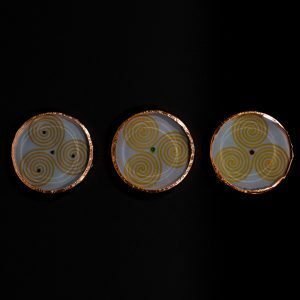 The Buddha energy disk is designed to work with the body on all levels – physical, mental, emotional and spiritual. Each disc is handmade. 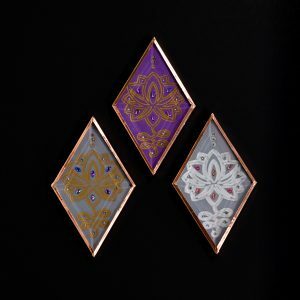 The Buddha is drawn with purple, teal, aqua or pink ink on velum paper and decorated with rhinestones that are enclosed in glass that is wrapped in copper. Each disk is energetically attuned to hold the frequency and vibration derived from the symbology of Buddha. The Buddha is sitting in a lotus flower. Buddha is a symbol of enlightenment and “he who is awake”. 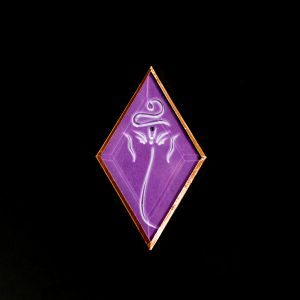 The lotus flower symbolizes the journey of overcoming life challenges on the journey to enlightenment. How you use the discs is completely up to you. There is no one correct way. 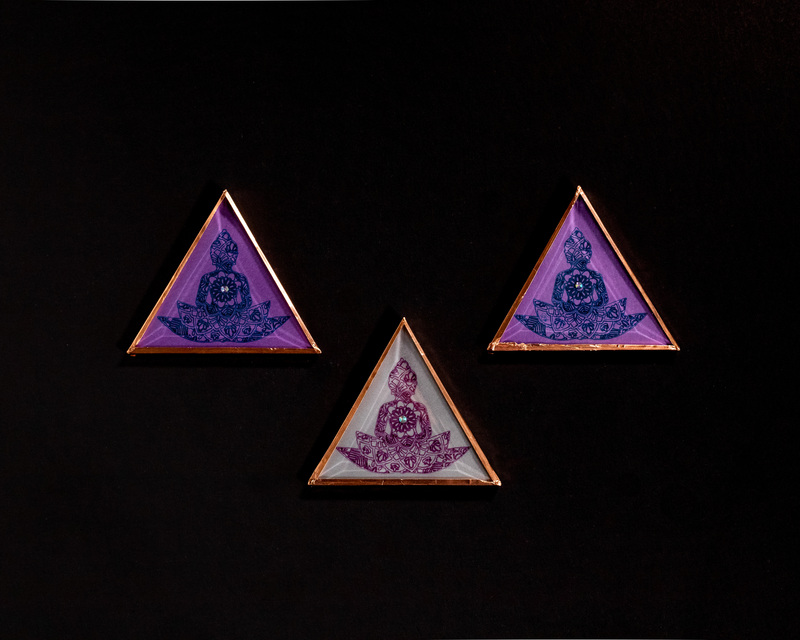 You may hold it, meditate with it, display it to infuse a space with energy, place it over areas of your body that feel blocked, and use it to run columns of energy in your own body or when working with others. Another use may be to put discs under massage table during sessions. Many people opt to lay down, meditate, and place the disc on their body while mediating. Some people choose to lay the disc on their bodywhere it feels right. 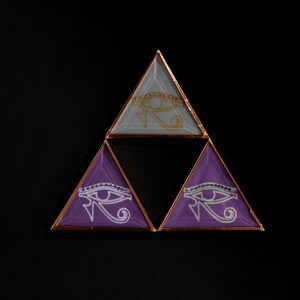 Each disc is a 3″x3″x3″ triangle and made with glass and copper. The look for each disk may vary from picture.